Are you moving, renovating or downsizing in West Sussex? We can provide the extra space you need! Whether you are moving, downsizing, awaiting the sale on your new home or renovating, we at Chatfields Home Removals & Storage can provide the storage that you may need. We have several well situated storage facilities that ensure all your worldly possessions are kept safe. Our tailored storage and removals package ensures your possessions will be safely stored whilst you are moving into that dream house! By choosing your local West Sussex branch, you will find that the storage of your possessions during your move will not only be cheaper but you have the benefits of Chatfields Home Removals & Storage professional and friendly team. We can provide the necessary packing boxes and wrapping materials needed and collect, load and deliver you personal or commercial items, making your move as stress free as we possibly can! We ensure that there are no hidden costs and that your possessions are kept in a climate controlled and carpeted environment. Chatfields Home Removals & Storage provide a professional and trustworthy range of Storage services for Domestic and Commercial customers. To get started, simply call 01732 386066 – 7 days a week 9am-9pm – or fill out our basic on-line form (Don't worry, it's short and sweet!). 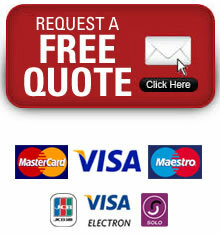 Next, we will contact you to arrange a FREE SURVEY and provide you with a FREE QUOTATION. All our surveys and quotations are carried out by our Director. If all is to your satisfaction, we start the removal process – your possessions will be professionally packed by our fully trained packing team, or you can take the DIY Packing option and pack yourself – we can supply Packing Materials if you need them. On your moving day we'll either take your possessions to your new home and/or to our storage facility depending on your needs. Open 7 days a week 9am-9pm. We were very impressed with the guys you sent over – very polite and incredibily quick workers. © 2018 Clever Moving Group Limited. All rights reserved.